Pricing your home is both an art and a science. Achieving the optimal price is the result of both objective research into comparable properties and an (informed) gut feeling about your property and the current market in Westchester County. Below are some tips about pricing your Westchester County home to get the best price while selling quickly. Check out our blogs written specifically for Sellers. QUESTIONS?Call Hire Realty LLC today to sell your home in Westchester County NY. Buyers and agents become aware of the long exposure period, if your home just sits on the market, and often are hesitant to make an offer because they fear something is wrong with the property. You might inadvertently help sell similar homes that are priced lower. Hire Realty LLC will provide you with a comparative market analysis (CMA), a comparison of the prices of recently sold homes that are similar in terms of location, style, and amenities. A CMA is performed by comparing previously sold homes in the area, and currently active homes, to know your competition. A good real estate professional will never tell you what we think your home is "worth"
The market determines value…together we will determine the price. The best price will get you the highest price the market will bear and still sell your home quickly. Hire Realty LLC keeps in touch with market trends and keeps up to date with market activity of comparable homes. We will estimate your net proceeds. We will help you in determining any offering incentives. Remember - no agent has control over the market, only the marketing plan. Never select an agent based on price. It would be easy for any agent to throw a high price on your home, to get your business. That backfires every time by discouraging potential buyers and by keeping your home on the market far longer than it needs to be. 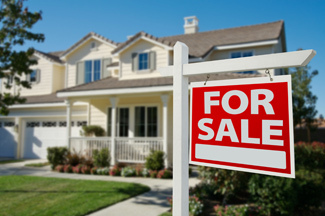 Hire Realty LLC will help you correctly price your home to sell.